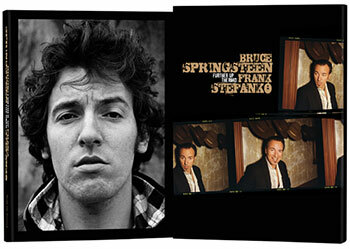 In November 2017, Wall of Sound Editions published a new limited edition book of photographs of Bruce Springsteen made by Frank Stefanko. Bruce Springsteen: Further Up the Road is an astounding, 400-page anthology of more than 40 years of largely unseen images, all shot by Stefanko throughout Springsteen's epic career. 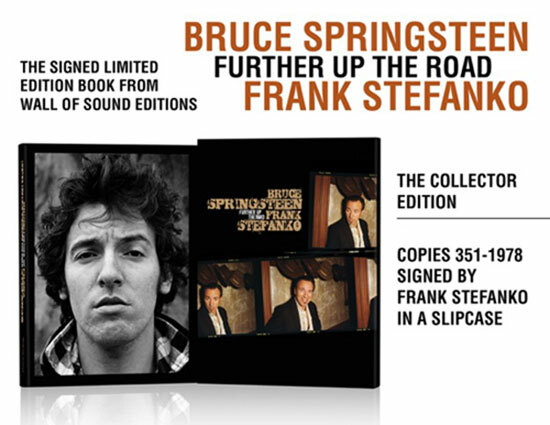 Bruce Springsteen: Further Up the Road will be released as a numbered, limited edition book, available as a Deluxe (copies 1-350) and a Collector edition (copies 351-1978). All 1978 copies will be signed by Frank Stefanko. This item is the Collector edition, housed in a custom slipcase and signed by Stefanko.